Chances are, you might be familiar with the Morrow Audio name from its hand-crafted audio cables, painstakingly made for both audiophile and pro audio purposes. 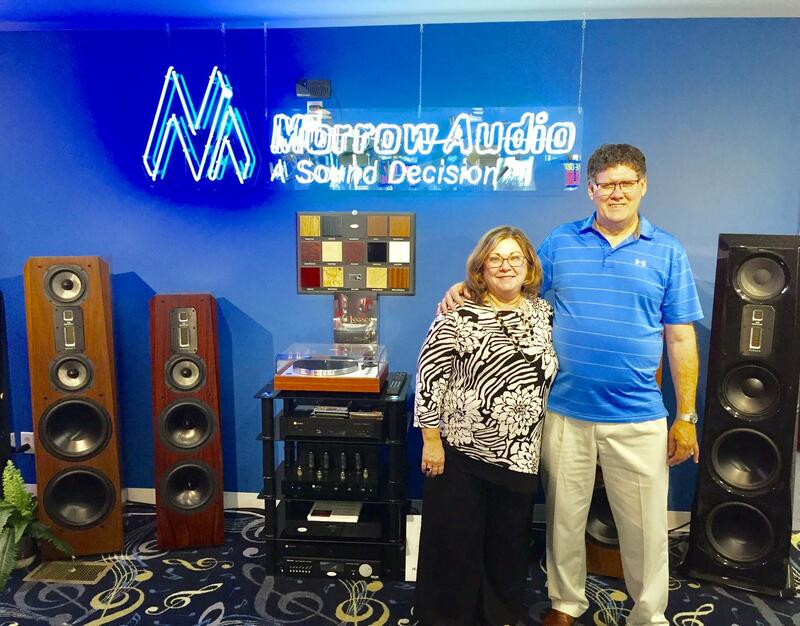 But our readers might be surprised to hear that company founder Mike Morrow has ventured into new territory with the recent opening of new facilities for his company—a combined location with a bricks-and-mortar record store and the headquarters for Morrow Audio’s operations. The move marks a big change for the 13-year-old company that sells cables in 70 countries worldwide. The 4500-square-foot building, which houses both the record store as well as the corporate offices and manufacturing facilities for Morrow cables, sits on a busy stretch of highway in Florence, Kentucky, about 12 miles south of Cincinnati. 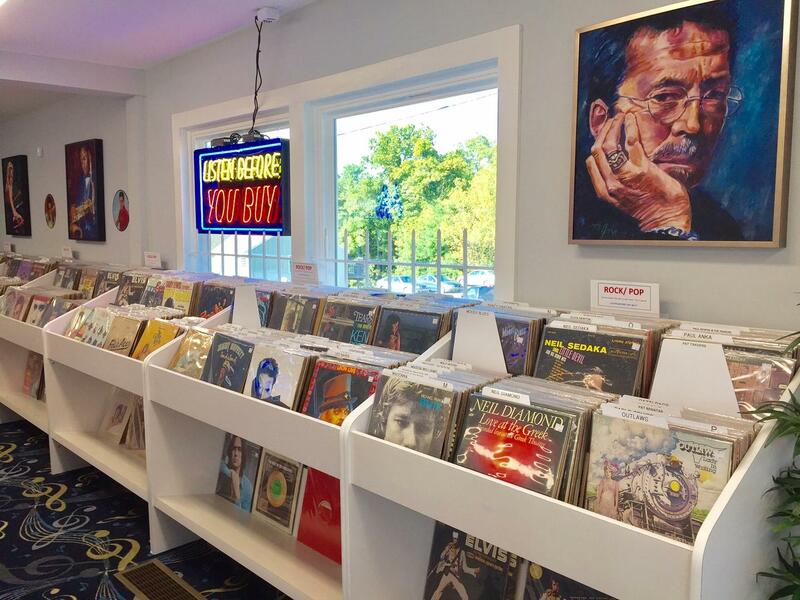 The retail store sells gently-used vinyl—including a good number of audiophile-grade records and a rather outsized Elvis section—alongside a smaller but well-curated selection of new LPs, both reissues and new releases. A neon sign points visitors to a small back room for “Far-Out Oddities” on vinyl. Mike Morrow says his vision for the store is his response to the question, how can we bring more young people into the audiophile hobby? Used records were the key, he says. Vinyl, especially used, is such a hot commodity right now. 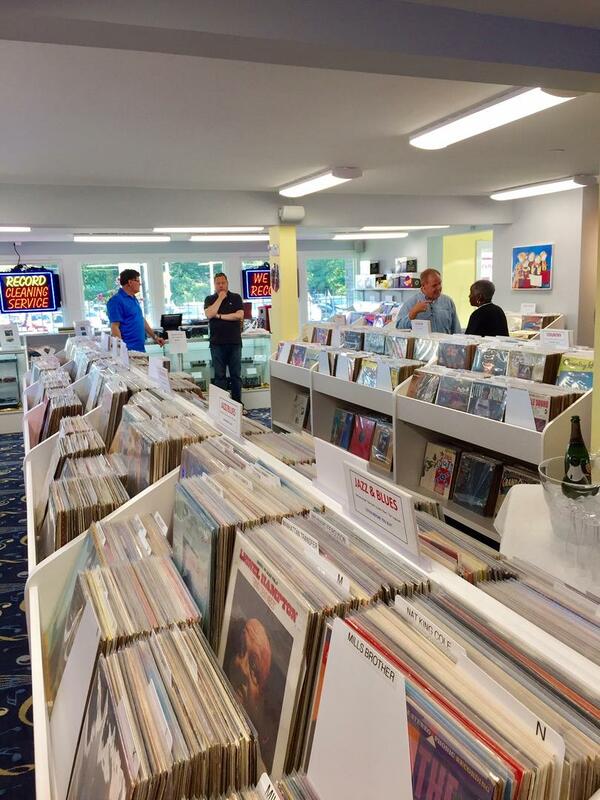 He has an inventory of more than 10,000 LPs on-site (between what's on the sales floor and reserves). To the end, also on offer is hi-fi gear from a handful of brands Morrow has represented for a number of years, including a lineup of Legacy Audio loudspeakers, Jolida electronics, plus a range of turntables from Audio-Technica and Pro-Ject (priced from about $200 to $990). A few systems are set up in the store with other equipment on static display. (There’s also an offsite showroom for auditioning gear.) 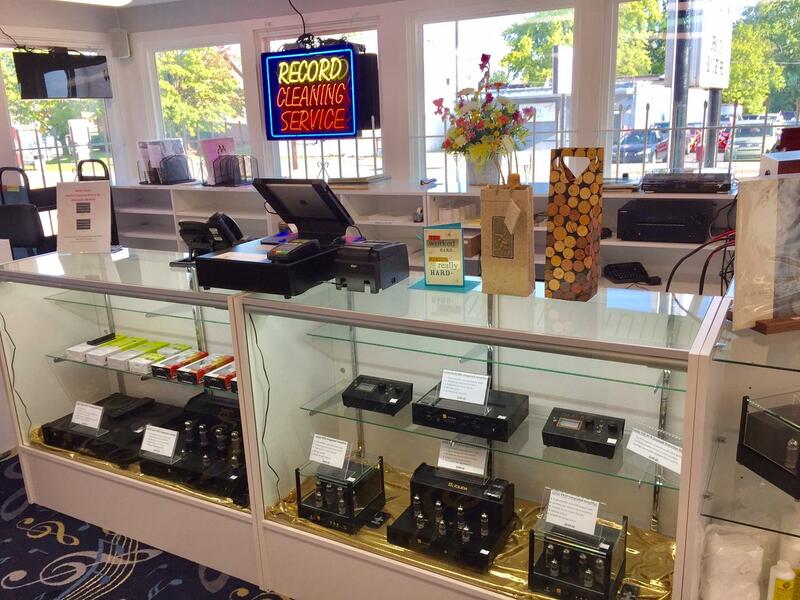 Inexpensive Spin Clean record cleaners are sold and a slightly more expensive option: an ultrasonic record-cleaning service. Of course there are also Morrow Audio cables. 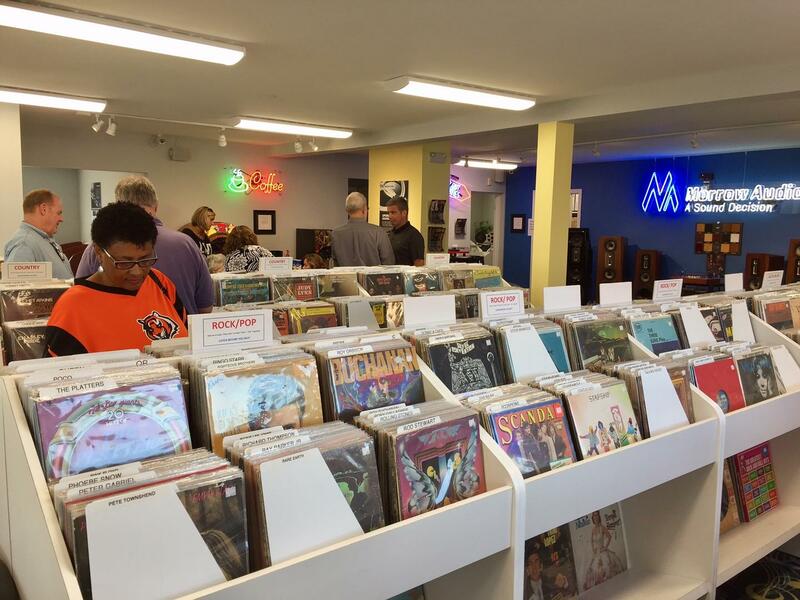 Morrow has also put a great deal of thought into making the store a fun destination where music lovers can come and hang out: There are a few tables and chairs, free coffee, and a separate small room with five listening stations, each equipped with headphones and a turntable, so you can try before you buy (used LPs). 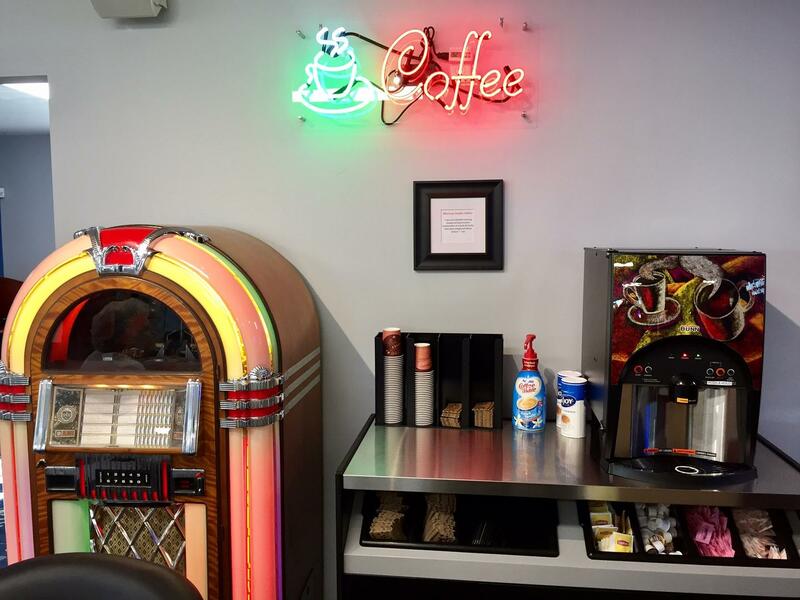 The well-lit space features a good deal of custom neon signage, crazy carpet with treble clefs and other musical motifs, but a highlight is the fully functional vintage jukebox that Mike Morrow himself restored. Yes, it plays 45s. There was an assortment of music playing when I visited the store during its opening celebration, and I had to wonder if hearing “Oh Julie” by The Crescendos was a serenade or a coincidence. What did I purchase? I didn’t have enough time to dig too deeply that day but my two choices reflect the extremes of my omnivorous musical tastes: a classic Folkways Records release: Jean Ritchie and Doc Watson at Folk City and uh, LCD Soundsystem's first album (a guilty pleasure of sorts). That’s always been the joy of record shopping: the thrill of the hunt. What will you find next time? With Morrow’s approach who knows what else might turn up.